Motorcycle trials club Lancashire | Lancs County MCC. 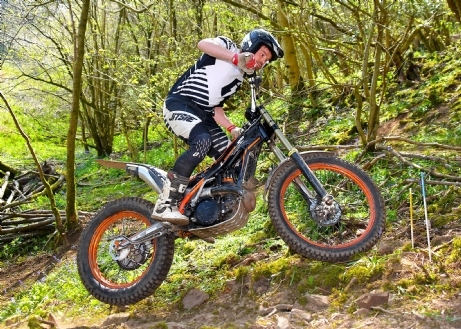 Lancs County MCC is a motorcycle trials club based in the North West of Lancashire that organises a number of Sunday and Wednesday evening trials each year. It exists to provide enjoyable off-road trials sport for all levels of abilities for all ages of rider around North West Lancashire. The picture with the lead story on this home page always changes each time there is a new or modified article and earlier articles can be accessed by clicking on the links above or below. Dates of forthcoming club events are highlighted on the Events Calendar. Details of the locations where we run our trials can be found by clicking on Getting Started then the page Venues on the strapline. The last time the site was modified is indicated at the very bottom of this home page where details of how to contact the club are also included.